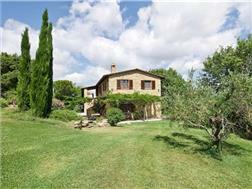 Polino Alto could be the perfect second home in Umbria, this stone villa newly constructed in 2006 has it all; great views to Piegaro, Panicale and Citta della Pieve, fabulous swimming pool area, 4 spacious bedrooms with panoramic terrace and all of the mod cons that make the house functional as well as beautiful. 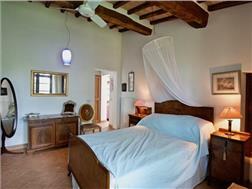 The property has solar panels for hot water and stylish wood burners for heating that keep the running costs low. 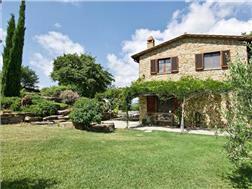 Situated in a private yet not isolated position just 5kms from Piegaro and within easy reach of the famous medieval towns in Umbria and Tuscany. 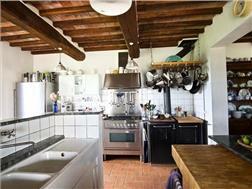 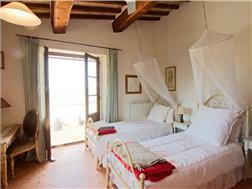 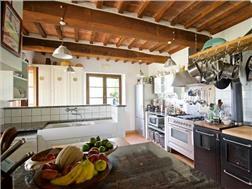 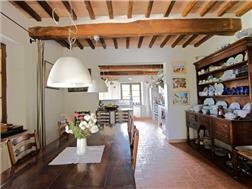 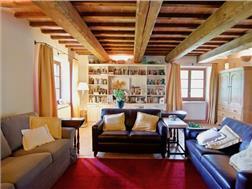 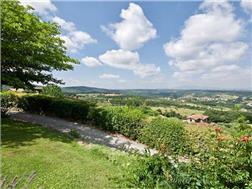 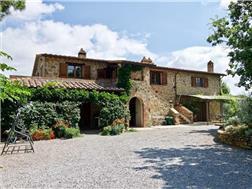 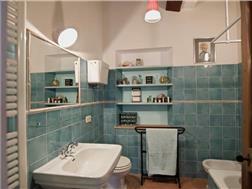 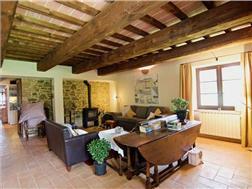 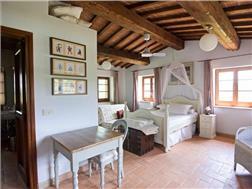 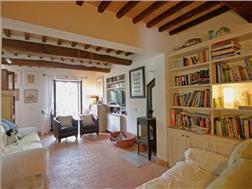 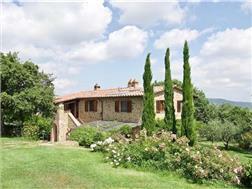 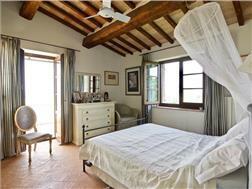 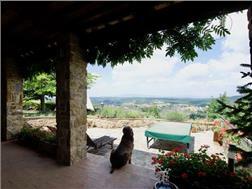 Piegaro is becoming increasingly popular with foreigners for their second homes. 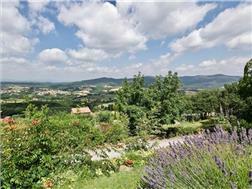 The property is in an elevated position with open views across rolling hills and wonderful towns such as Citta della Pieve and Panicale nearby as well as being just a short distance from Perugia and its international airport. 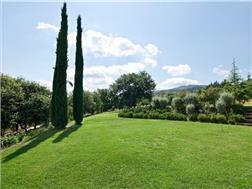 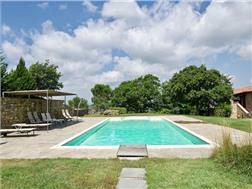 The property includes around 0,7 hectare of immaculately maintained, mature gardens, accessed by electric gates. 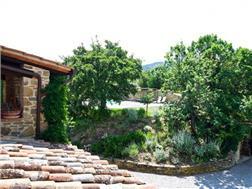 A sweeping drive leads to the carport with plenty of space for parking. 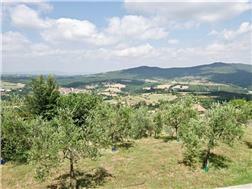 Terraced land below the house has a vegetable garden and orchard with cherry, apple, and pear trees among others. 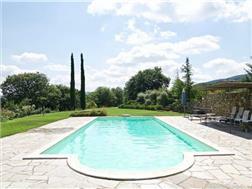 The swimming pool 12 x 5 m. has very low maintenance thanks to the oxygen system and is situated above the house to make the most of the views.